I'm afraid this is going to be one of those annoying posts where I talk about a product that was Limited Edition and is unlikely you'll be able to get your hands on. That said it's worth talking about for a number of reasons and yes I will reference the gorgeous purse in the photo too. 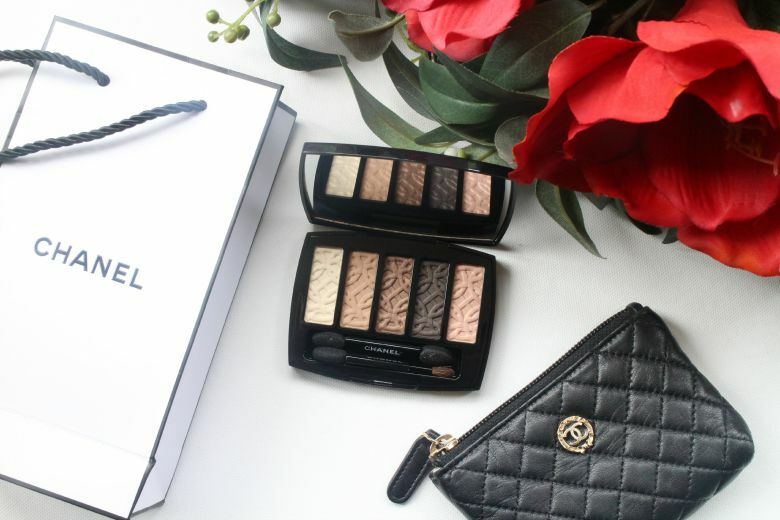 The story begins way back to November 2013 when Chanel released the Ombres Matelassees Eyeshadow Palette in Charming as part of their Christmas collection. 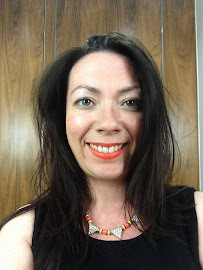 Lisa Eldridge featured it in one of her tutorials and many bloggers and YouTube proudly showed it off. I wanted it but for some reason dithered, it sold out and has haunted me ever since. Yes I'm being slightly dramatic and the distress was short lived (how fickle one can be) but when I happened to pop into Boots one Saturday afternoon a few months back and saw Chanel's Entrelacs Eyeshadow Palette I stopped in my tracks. Did I need it? Of course not, a very neutral selection of browns which were they not encased in the familiar Chanel packaging with the dreamy patterns on the shadows themselves I may have overlooked it but... there's always a but where Chanel is concerned. My thought process went something like this; it was in stock something that always gives me a thrill with Limited Editions (I'm still haunted by a Chanel nail polish mum had to hunt down in Spain one year). Next yes it was a fairly boring, made of neutral browns but this could be 'the' palette. The one I relied on, that's grabbed for nights out when I don't want to worry about experimenting. Everything I need in that one palette and the most tenuous of reasons, it could be the palette I take to Florida with me in January. Yes I kid you not I decided that I needed this palette for a holiday I'm going on next year because no other would be suitable. All those 'reasons' were fairly mute points because ultimately I had an abundance of Boots Advantage Card points so technically this palette would be free. And free Chanel is an amazing thing. I skipped home with my new piece of Chanel goodness, showed it off to my mum, again justifying it with my 'I'll take it to Florida with me' story, not that my mum needed convincing and then came the moment of joy when I could start using it. Unfortunately I was a little disappointed. This might surprise you to hear because it appeared in my August favourites but despite it's failings it's still a palette I've come to love. The Entrelacs palette is inspired by 'a path in the heart of the forest' and contains five shades. The first is your typical white frosted highlighter shade and the one I use least. I'm still not up to standard with using highlighters under the brow and with a light appearance it's not a colour I've had much use of. The next four shades are all used in various combinations, typically with the second, a medium brown used in the crease, combinations of three and five used on the lid and/or in corners of my eyes and four, the darkest brown as a liner or to darken things up 'after dark'. My problem was that I struggled to get much product from initial application. I had hoped shade five would be similar to my Wet n Wilds Trios and be a perfect look when I wear red lipstick but it was more muted. In the pan all the shades look like they'll be highly pigmented but they are more sheer on application and need to be built up. They are all firm colours that require some work with my make up brushes to build up colour. That said I persisted and I have made this palette work for me and I do love it. As I wanted a neutral palette that would work for every day use and give me a small window of creativity it does work perfectly and its actually been a palette that I've had to consciously remove from my make up bag for fear of things becoming a little too boring. If I'm honest for £46 I don't think the quality is up to scratch, as I've mentioned I have far cheaper eyeshadows that are better pigmented but for a little Chanel luxury I'm glad this palette is in my collection. And before I head off, the Chanel purse. This was another spontaneous purchase. My mum and I were out shopping years ago now and spotted it in a Chanel store. At a mere £200 (or thereabouts) we decided this was a bargain and shared the cost and took it home. I appreciate there are some who wouldn't dream of spending this much on a little coin purse but for those who are interested this is a great sized item that I have been using as my 'every day' purse for some time and it holds a number of cards, notes and coins and looks as good as the day I brought it. Are you a Chanel fan? Well technically I didn't pay for it! I've made it work and I do love it now it's just not as great as I wanted it to be, especially when I compare it to a high street palette I've used today which is amazing! It's a shame about the eyeshadow pallete but your coin purse is a beauty - I love it! Chanel makeup and natural eyeshadows never get old! Love the pretty little purse! I agree to a point, like a lot of brands it's hit and miss but Les Beiges powder is one of my holy grails and I love their mascara and kohl eyeliners... and their cream blush... in fact I just love Chanel! LOL!